Dr. David Pechersky was born and raised in Monroeville. After graduating from Gateway High School, he went on to attend the University of Michigan before earning his D.M.D. from the University of Pittsburgh. At the completion of his dental training, Dr. Pechersky was inducted into the Omicron Kappa Upsilon Honors Society. 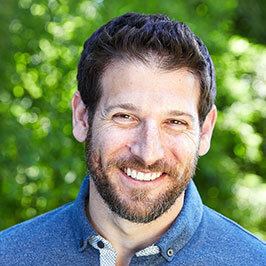 Dr. Pechersky completed his specialty program in orthodontics at Tufts University in Boston, MA. While at Tufts, Dr. Pechersky trained directly under the president of the American Board of Orthodontics. His commitment to fundamentals combined with his experience in the most advanced and modern techniques in orthodontics brings a unique and exciting philosophy to the office. While at Tufts, Dr. Pechersky's research was dedicated to patient hygiene and making sure that his patient's teeth were as clean and beautiful after braces as before. He initiated the Tufts Orthodontic-Specific Prevention Protocol in an effort to eliminate the development of white spots (a potential side-effect of poor oral hygiene while wearing braces). Dr. Pechersky and his wife, Laura, live in Aspinwall with their daughter, Sasha, and son, Theo. He is an avid follower of Pittsburgh and University of Michigan sports teams and enjoys playing hockey and spending time with his family and friends.